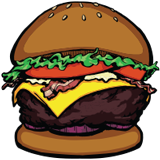 Home News	A Blog About Burgers? 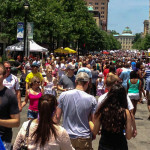 Welcome to the Triangle Burger Blog! This blog is a chronicle of one man, who is on a relentless quest to eat burgers at every place they’re served in Raleigh, Durham, Chapel Hill and the surrounding area. Now jump in, sit back, and enjoy the ride! Wait, before I go around reading about some dude eating burgers…uh, who are you? Oh. Great question, fearless reader! I am Angus 1 and I will be your guide on this amazing quest of ground beef. Ok…Angus…where do you get off telling me about burgers? Well one fateful day back in the great oh 20 ought 10 2 I started a journey of eating, talking, and writing about burgers in Charlotte, NC as a founding member of the The Charlotte Burger Blog, with Hereford 3, some other guy. I have eaten and reviewed over 75 burger joints and have been featured in local & national media programs and local print publications such as Travel Channel’s Man v. Food Nation, The Charlotte Magazine, Creative Loafing, WSOC-TV, and WFAEats. Well that’s all fine and dandy for Charlotte, but this is the Triangle. 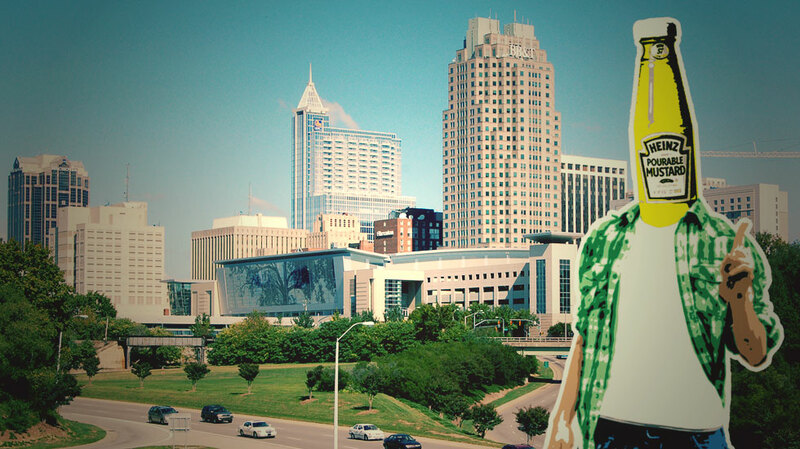 I’m a recent transplant to the Triangle area mainly because someone’s wife wanted to “go back to school” to pursue a “Ph.D” in order to get a high-paying “job”. You know, so she could learn the smart stuffs while I write about burgers. So you’re a food critic? Hahaha. Far from it. Before you take my opinions too seriously, I have no training or any type of culinary education. But I know what I like. I like burgers. And I really like the Triangle. I’m going to try every burger I can find here, and I hope you’ll be interested in what I have to say. Ok then, how do you write your reviews? At (nearly) every restaurant I go, I’ll weigh each burger, measure its height and diameter, note the cost and if they cook the burger to order. In addition I’ll discuss the overall taste of the burger, the restaurant’s atmosphere, and their beer selection. Weigh and measure? That sounds interesting. What types of places are you going to visit? I will be going to all types of locations in order to try every burger in the Triangle area. From the small burger joints to the high class downtown 5 restaurant. I’ll try to update the blog with a new review as often as possible. If you know of a place you would like me to visit feel free to contact me and let me know! So, what do you think is the best burger in the Triangle? This is the one thing I should note. Many people always ask me what is “The Best Burger in Raleigh” or the “Best Burger in the Triangle.” I don’t think that there is such a thing as “The Best Burger in the Triangle.” After all, if I were to eat a burger and truly think it was the best, there would be no reason for me to continue. It’s all about the journey. I’ll have my favorites, and you will too. But I could never narrow it down to just one. That makes pretty much total sense. Nope. You summed up this whole eat burgers, write about it thing. 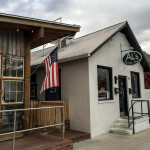 In the upcoming weeks for the Triangle Burger Blog you’ll see me grab a bite at Chuck’s & The Raleigh Times in Raleigh, Bull City Burger and Brewery & Only Burger in Durham, and Buns & Al’s Burger Shack in Chapel Hill, as well as an interview with Al himself! Now if you’ll excuse me, I have some ground beef to consume.